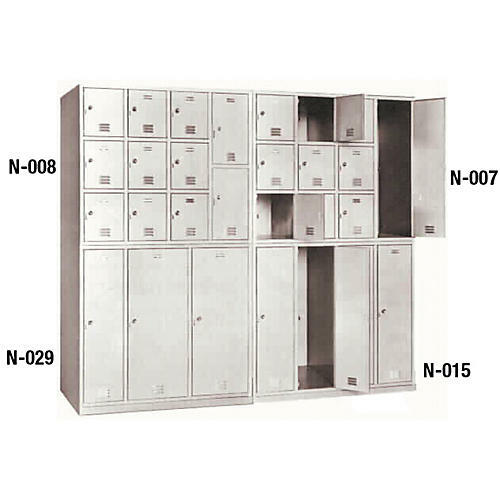 The Norren Modular System is a completely new approach to instrument storage facilities. It is based on a standard size cabinet, 48 1/2 wide x 28 deep x 41 1/2 high -- with a group of standard sized compartments which can be arranged in a wide variety of combinations. The result is 43 different cabinets that can be intermixed, double stacked or bolted together as one assembly to permit long range planning for the future expansion of storage facilities.